Home > Climbing Plants & FREE P&P > Evergreen Climbers > 2X NEW INTRODUCTION Lonicera japonica 'Darts World' EVERGREEN SCENTED FLOWERS. HARDY. ONE OF THE BEST ALL- ROUND CLIMBING PLANTS INTRODUCED! 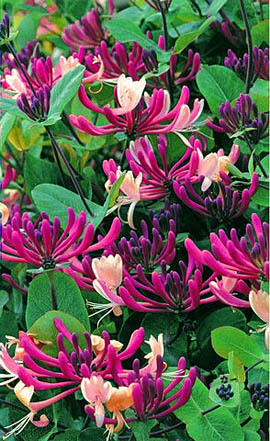 2X NEW INTRODUCTION Lonicera japonica 'Darts World' EVERGREEN SCENTED FLOWERS. HARDY. ONE OF THE BEST ALL- ROUND CLIMBING PLANTS INTRODUCED!